My friend Paddy Sweeney of VeloPeloton climbed Pla d'Adet today (Plah-deh-day). 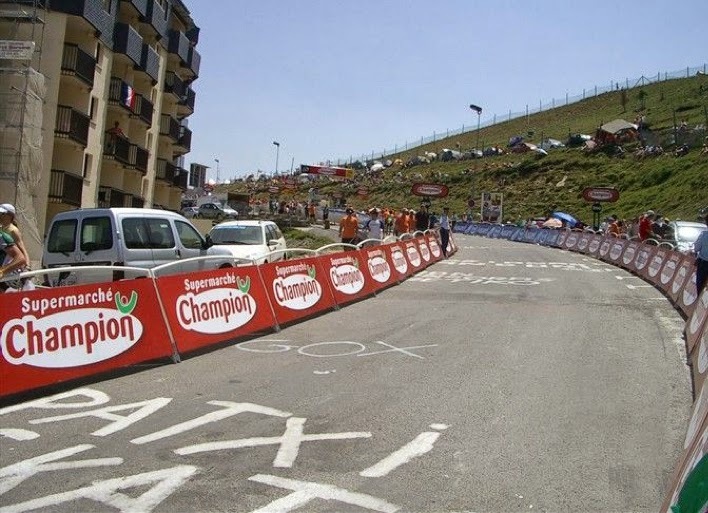 He said, "Overall it's not a particularly hard climb as it is short and would be easier than Luz Ardiden or Hautacam." That is because the Hautacam is in Paddy's back yard and he climbs it (what seems like) every other day. 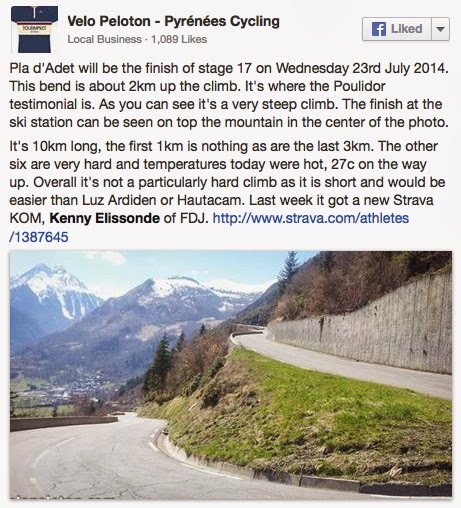 I think Pla d'Adet is kind of hard. 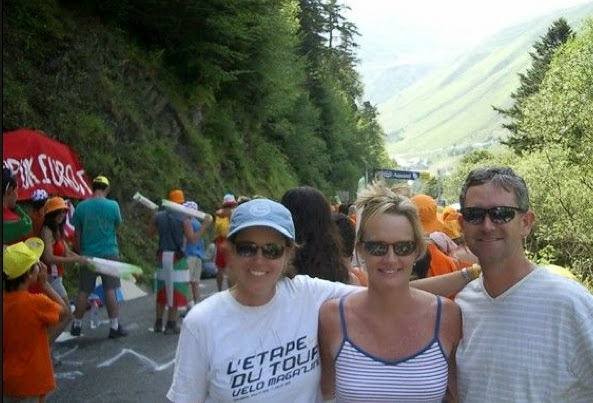 So much so, that I remember distinctly saying out loud after the last time I descended that mountain in 2010 on Bastille Day, "well I don't need to do that again." 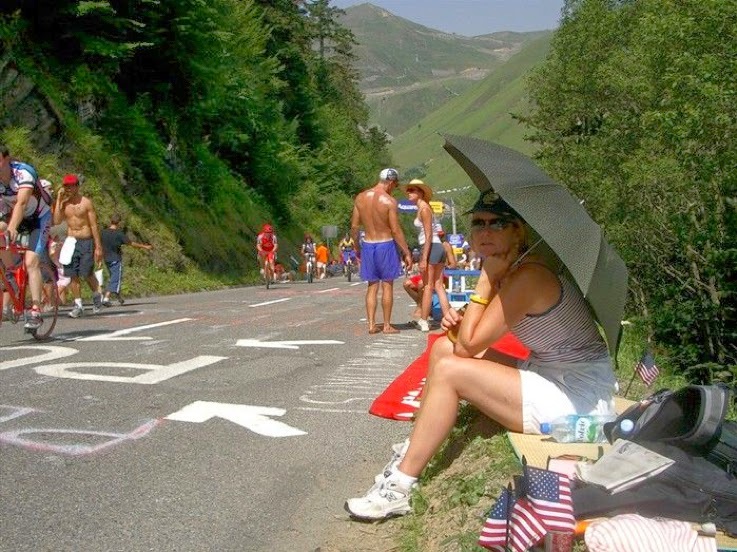 Once was enough, plus the 10-hour day we spent on that same mountain in 2005 to watch the Tour de France mountain top finish at the ski station. Do not get stuck in a traffic jam on Pla d'Adet. Still that mountain has epic memories for me. Just knowing that it looms over the Vallée d'Aure is magical. 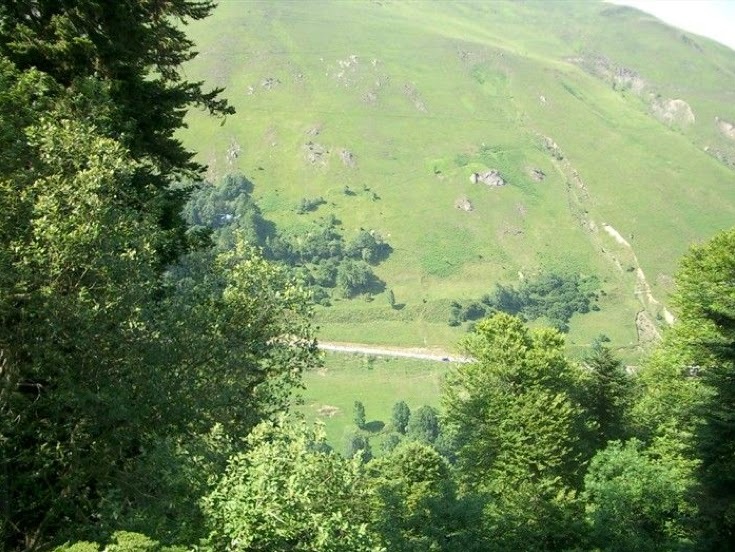 In 2010 I climbed a hill opposite simply to photograph it from different angles. 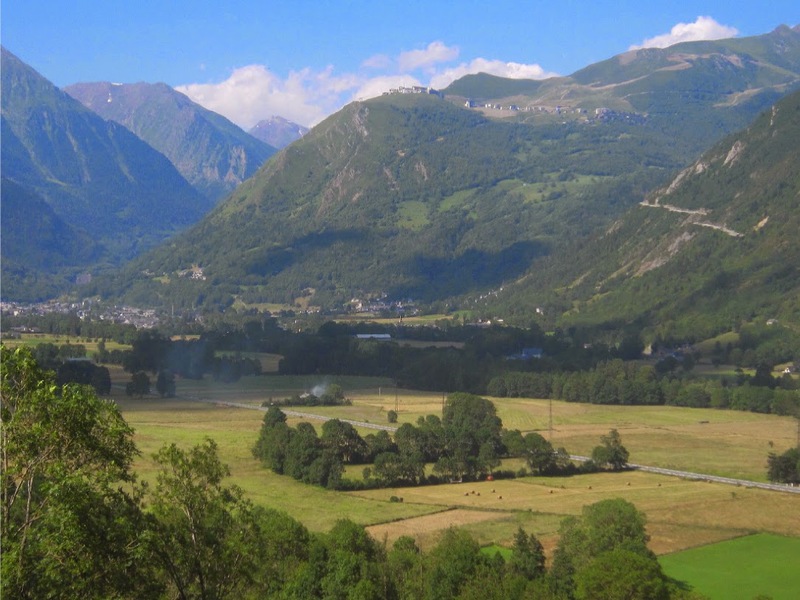 Down valley is the city of Saint-Lary-Soulan. I totally disagree with Phil Liggett who claims this town to be one of his favorites in the Pyreness - "What? He needs to get out of that small broadcasting trailer more," I always scream at the TV. 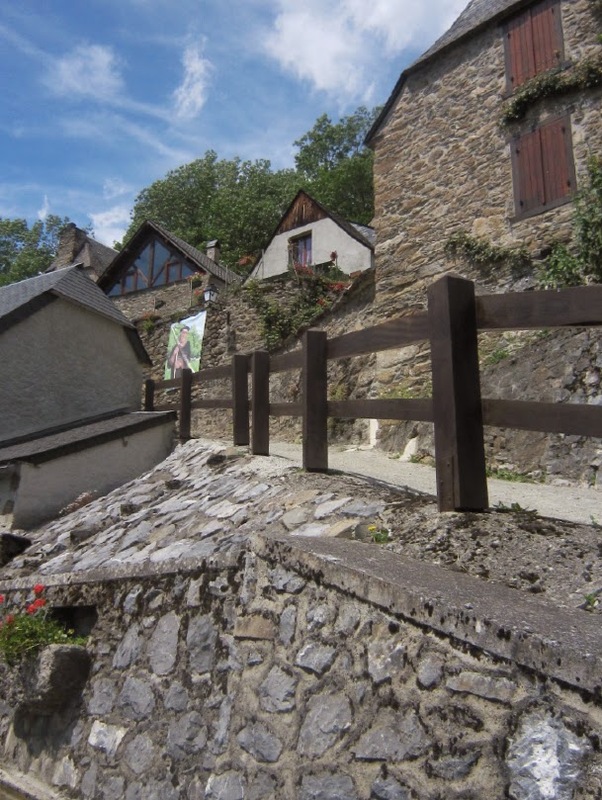 The town of Arreau, north (up or down valley, it depends which way you are riding, because the road feels sort of flat) of Saint-Lary-Soulon, is a lovely town with a patio outside the Hotel de France and a pleasant river to picnic along. I like this valley a lot, it's beautiful. 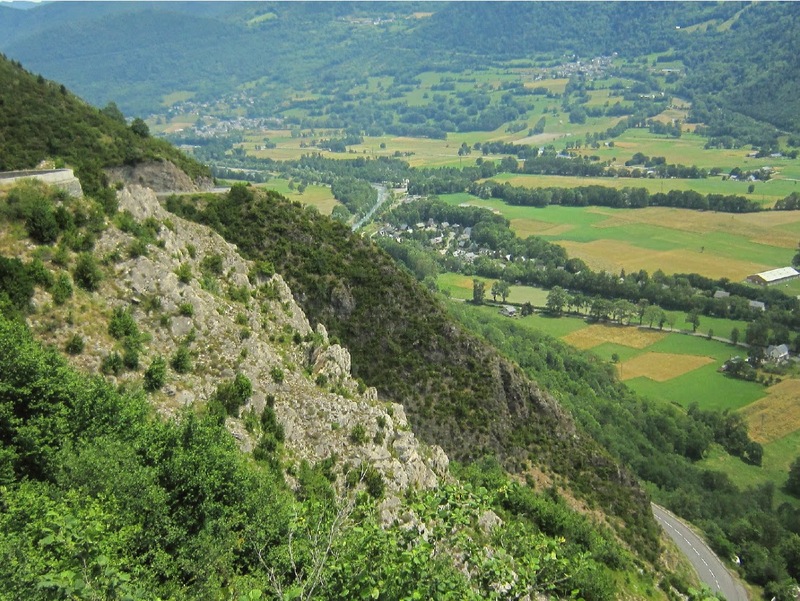 The climbs of Col d'Aspin, Hourquette d'Ancizan, Col d'Azet, and Pla d'Adet line the sides of this valley. Col de Peyresourde, Port de Bales, and Col de Tourmalet (east side) are close by. The climb begins with a massive switchback. 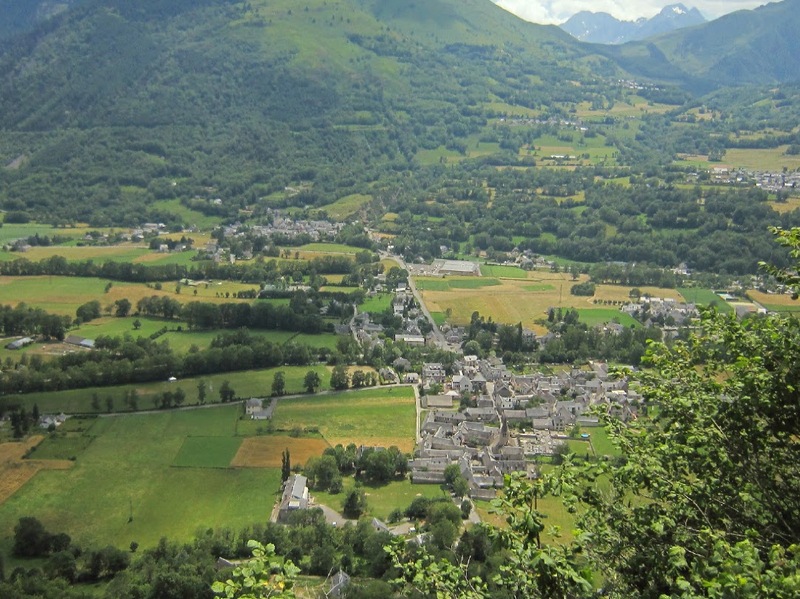 Looking down on the town of Vignec below. So steep (Paddy) that the houses are perched in stone on the side of the hill. 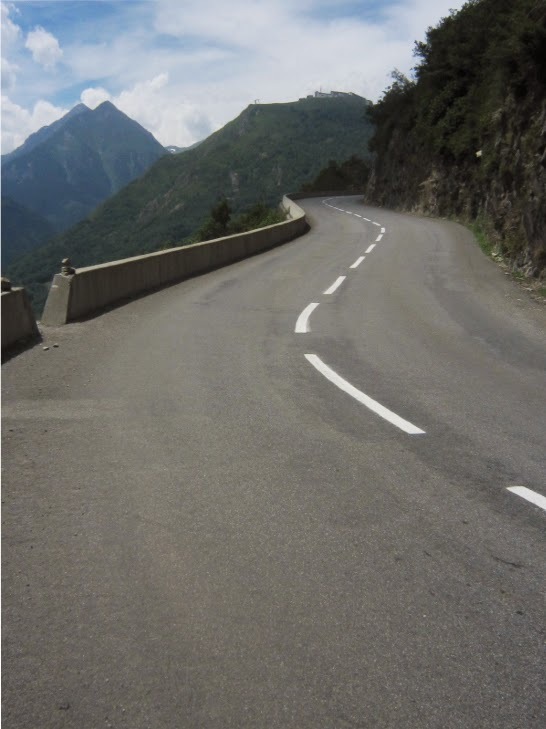 Paddy is right that this climb will be part of Stage 17 of the 2014 Tour de France: Route of the 2014 Tour de France, By Pedal Dancer. Paddy is also an excellent photographer. 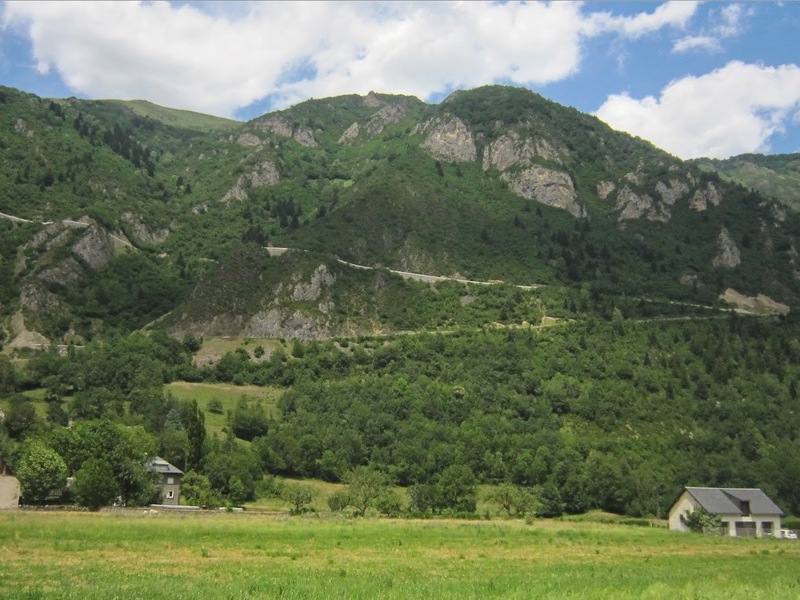 Related posts by Pedal Dancer (when I climbed it in 2010): Pla d'Adet in 2005 and 2010. 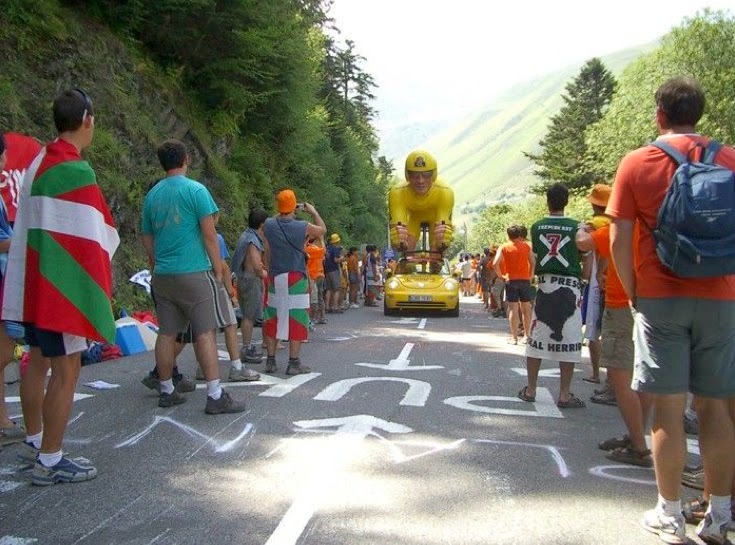 What you do while hanging out on Pla d'Adet for hours for the Tour de France to race by. The riders just kept coming long after the stage was won by George Hincapie in 2005. 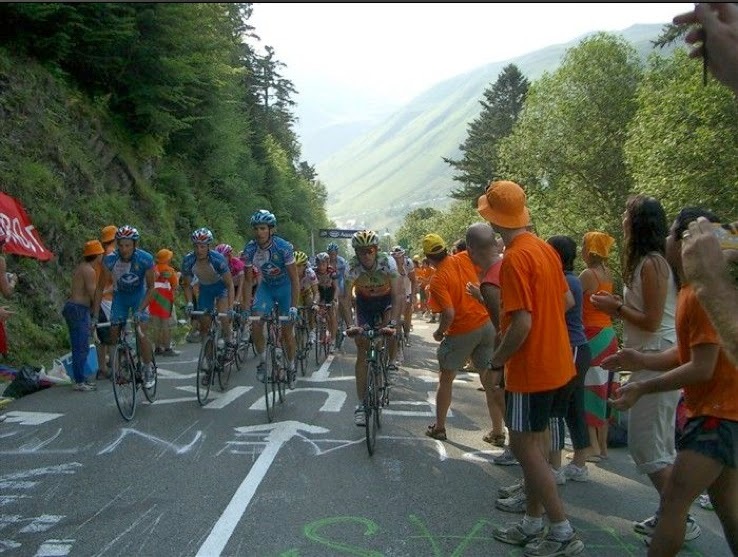 And then a massive traffic jam to get off of the road to Pla d'Adet, so ride your bike if you can!